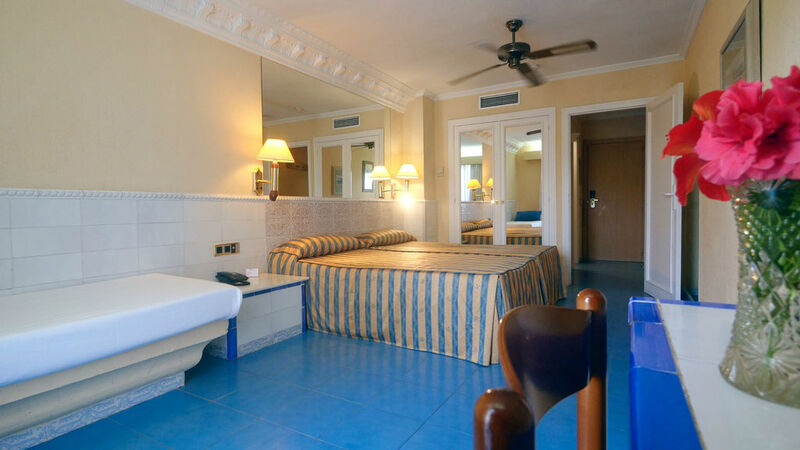 From 19€ per night - 0 rooms of 6 types. 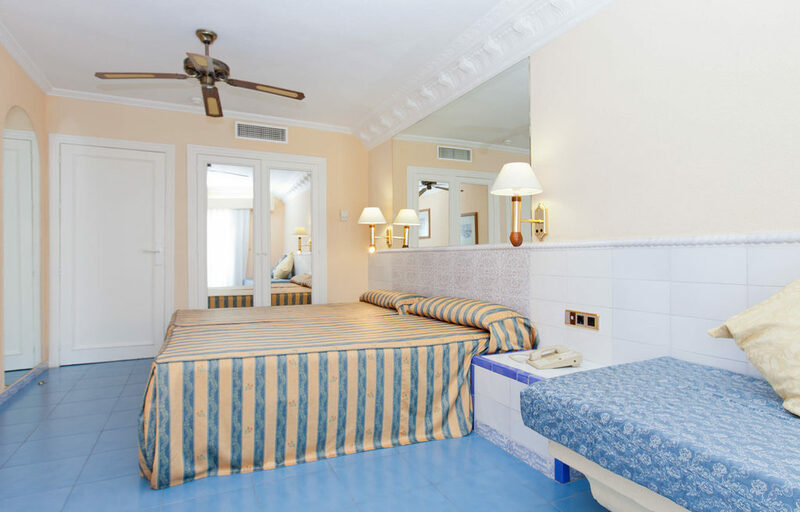 Fully-furnished rooms equipped with a bed (1.35x2 m), telephone, safe deposit box (for rent), satellite TV, heating/air conditioning, full bathroom with hairdryer, and terrace. Fully-furnished rooms equipped with two beds (1.05x2 m), telephone, safe deposit box (for rent), satellite TV, heating/air conditioning, full bathroom with hairdryer, and terrace. 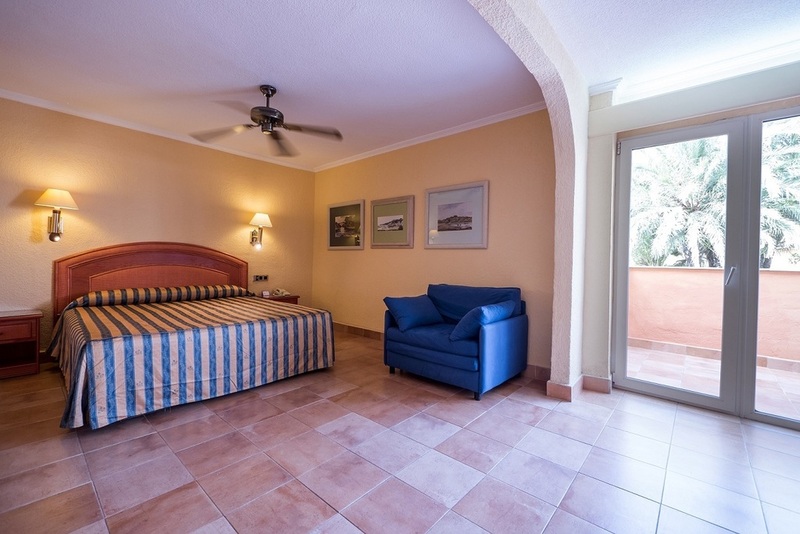 Fully-furnished rooms. 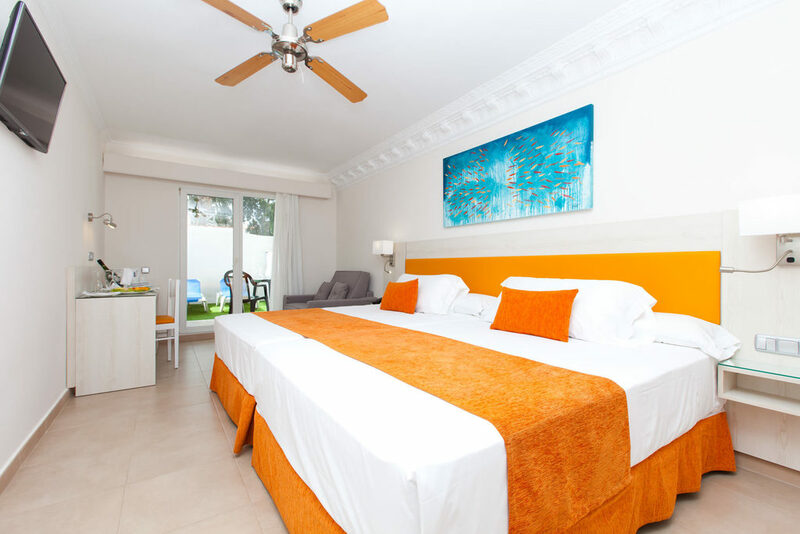 Depending on the type they consist of a bed of 1,80x2m plus a sofa bed or 2 beds of 1,35x2m plus a sofa bed; telephone, safe deposit box (for rent), satellite TV, heating/air conditioning, full bathroom with hairdryer, and terrace. Rooms with two beds (1.35m), 32" TV, modern furniture and small private garden. 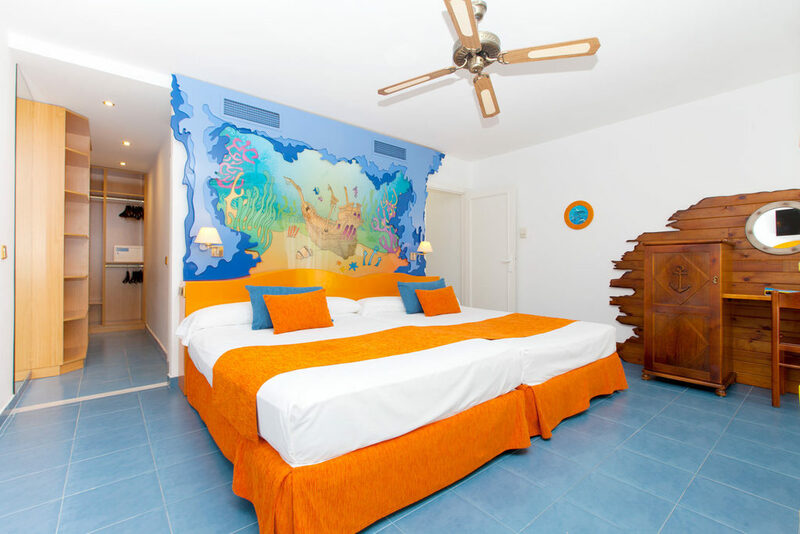 FAMILY THEME ROOM “SEAS OF THE WORLD”: Each room is set in a different sea to explore the underwater wealth of that sea. There is nothing better than being near the sea and plunge into an underwater world full of surprises and fun details. Facilities: 2 bathrooms, 32” LCD TV, 2 beds of 1.35x2 m and submarine-bunk bed 0.90x1.80 m. *Note: room images are for illustration purposes only. Actual rooms may vary from what is shown.